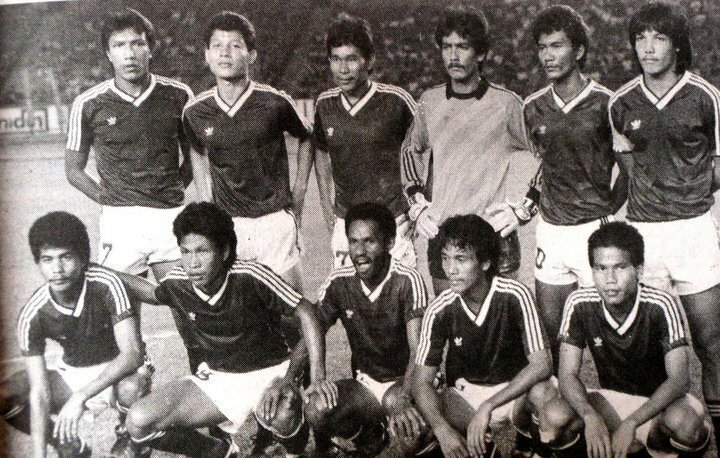 Growing up in Semarang, particularly in the 80s, PSIS was the talk of the town. The likes of Ribut, Ahmad Muhariyah, Syaiful Amri, Eryono Kasiha and Budi Wahyono. My family loves our hometown team. My dad, even went to Jakarta to see the final of PSIS vs Persebaya. He recalled that one bonek threw a bag plastic full of piss at him (narrowly missed), but even that doesn’t bother him so much. Why? Because on that day, PSIS won. There was a statue of a footballer dribbling a ball, in the entrance to Jatidiri stadium (it was destroyed by accident in 2003). Contrary to popular belief, it wasn’t a statue of Ribut. But people just call it “Ribut Waidi” since they thought it looked like him. Such is the affection of native Semarang to the man, the golden legs. 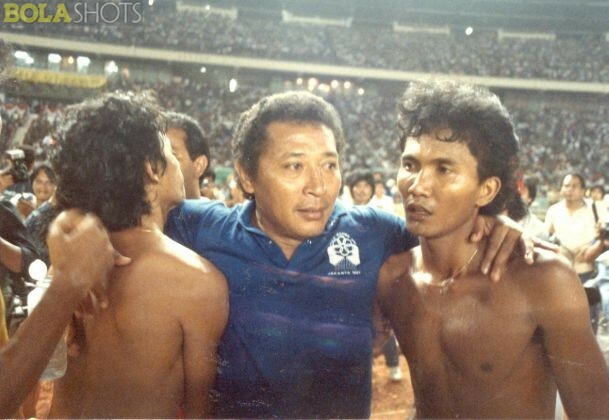 With head coach, the late Mr. Bertje. But what make him famous, is that “golden” goal. I was only 8 years old, so you can understand why I only vaguely remember that golden goal, in 1987. But I never forget to man who scored it. It was Ribut Waidi. A particular man, wearing number 10, with slim build and thin afro hair –in the dying minute, the winger ghosted past several Malaysian defenders and bang! He scored! Everyone goes absolutely mental. 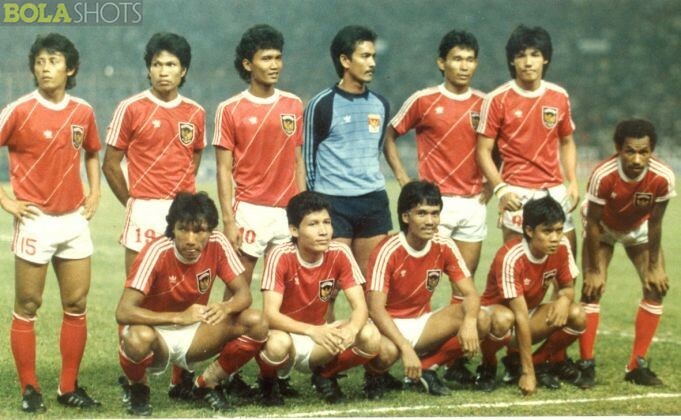 And Indonesia got their first gold medal for football, in the history of Sea Games. There would be so many more things to say about both the man and the legend that Ribut Waidi was. A journalist wrote that when Ribut was asked about the destroyed statue, he only remarked, “It’s just a thing of the past, we move on..”. Do you know that he travels back to Semarang with the gold medal by train? Not first class train, but an economy train. He sat in the floor with the rest of the passengers. He’s a humble man indeed and true hero in my eyes. We do move on, from past glories and look for another in the future. But we should never forget those who got it for us. December 5, 1962 – June 3, 2012. Rest in Peace legend! You’ll Never Walk Alone.